Canada Governments initiative to develop the business-friendly Ecosystem for foreigners is picking the pace gradually. The Startup Visa program, unique in its ways was launched in 2014 to welcome entrepreneurs from different parts of the world, providing permanent residency in different stages. 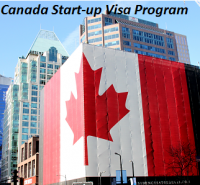 Annually Canada will approve 2,750 visas as part of this start-up program. Canadian Immigration and Citizenship Department, said that till date 16 entrepreneurs from different corners of the world have been permitted for permanent residency. About 60 applicants are under scrutiny in the administrative processing of this visa program. These 60 applicants have considerable 34 projects to be executed. Out of the total accepted projects, 25 projects attained financial support from Canadian investment companies under this Visa Program. Entrepreneurs to be eligible for this Visa program secure investment funds of $ 200,000 from Angel investor group or Venture capital funds. Both the groups are approved by the Government for securing funds from these groups. The investors who received permanent residency are optimistic about their future in Canada. Jonathan Bixby, an investor, says that “Canada is the easiest product to sell in the world”. Canada Government is to benefit funds worth 800 million dollars annually as part of this immigrant visa program. Programs intention is to lure the most qualified and potential investors into Canada. Venture investment finances and Angel group acts as facilitators for the Government to bring out the matured business ideas that work out in the present market. This program approves permanent residency in three stages to the entrepreneurs. Initially, Investors are associated with the business. Secondly, the temporary visa is given in this stage. The final stage grants permanent residency to the applicant and his/her family. As of now, those who attained permanent residency are happy and positive about the business friendly atmosphere in the North American country.